These examples are not as general as the conceptual diagrams I presented yesterday. 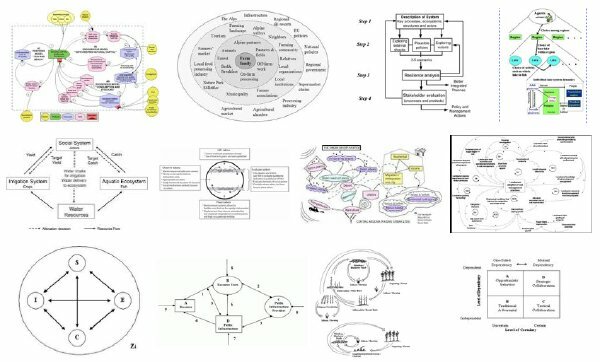 Each of these represents the social-ecological system of a particular place using a variety of approaches. Fig. 2. Conceptual model of the social-ecological system in the river delta showing the major linkages between the water resources that supply the irrigation system and the aquatic ecosystem, which both support the social system. Fig. 4. 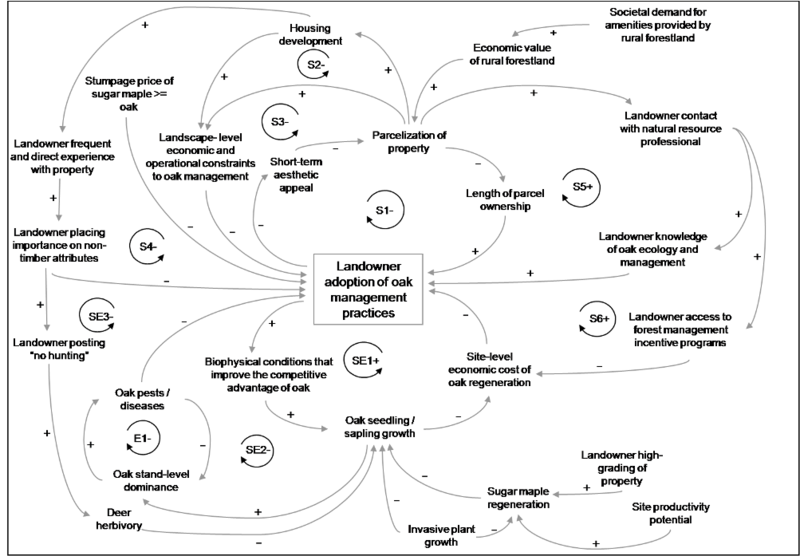 A schematic of an Anishinaabe perspective on forest disturbance cycles. Arrows represent the relative temporal scale of a cycle but not a temporal metric. Fig. 4. 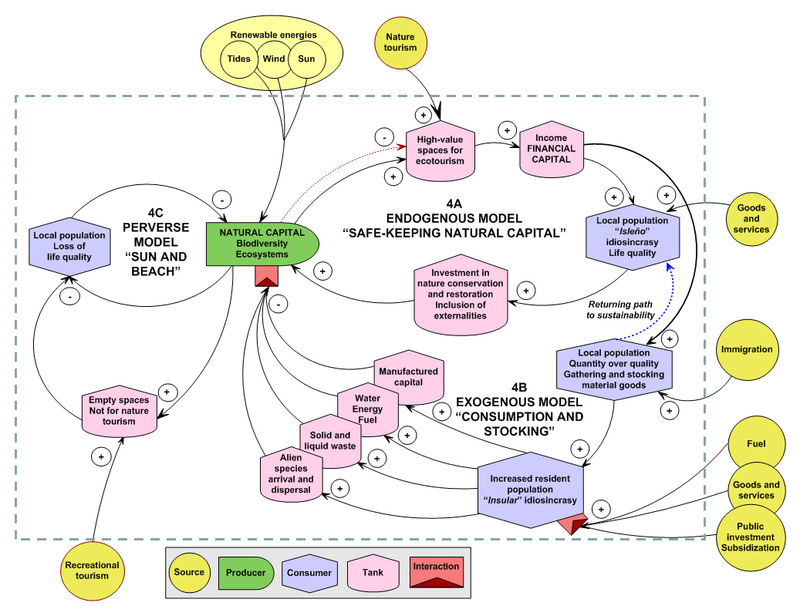 Simplified modeling of three plausible interconnected scenarios for the Galapagos social-ecological system, showing the tourism model as the main indirect driver of change. Interesting collection, but the link’s gone wrong, it would appear. Thanks Tom, I think it is all fixed now. These are better. Figure 4 has inputs and outputs, but it is missing the nonrenewables, which drives everything we’ve done for the past 200 years. Until you include nonrenewables in a storage that empties, you miss the fundamental message, which is that all of our current technological society is unsustainable as fossil fuels wane. It’s also missing the heat loss. Entropy works. You can’t win, you can’t break even, and you can’t get out of the game. If you’re missing inputs and outputs, you can’t model climate change, either. And the fourth law of thermodynamics says you can’t play for long unless you steal your opponent’s game pieces. That Galapagos model says that the exogenous consumption wins every time as long as there is excess energy to go around.